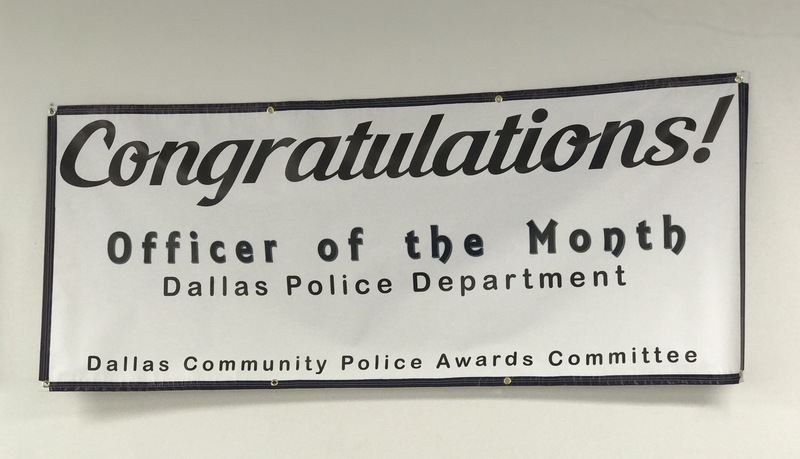 Officer Joesph Reyes was nominated for Officer of the Month by his supervisor, Sgt. Aundrea Vann. Officer Reyes has been with the department since August 2008. Prior to joining the police department, Officer Reyes served in the Marine Corps for 4 years. Not only does Officer Reyes serve the Dallas community, but he and his family regularly volunteer at the Kaufman food bank. He and his wife both teach Sunday school at their church and his family has a tradition of assisting with Toys for Tots during Christmas. An awards dinner was held for Officer Joseph Reyes at the Alexander C. Garrett Masonic Temple. Congratulations to Officer Reyes for being selected as Officer of the Month for September 2017.